About 15 years ago, I visited Tokyo with my mother for a two week trip. At the time I was about 12 or 13 years old, and the first thing I noticed were the lights; big colourful lights towering over me, as if I was walking through some kind of human pinball machine. Next was the people; crowds and crowds of people, packed like sheep, all weaving through each other and talking on fancy mobile phones, moving with a lot more urgency than my fellow Kiwis back home. And then, there was the technology. Back then, Japan was a superpower. Everyone in the world drove Japanese cars and played Japanese video games, and kids like me were forced to learn Japanese at school, just in case we found ourselves one day doing business with the world’s second largest economy. And so it was no surprise when I visited Tokyo back then, it felt like one giant space station, full of all the latest whizzes and gadgets, from the vending machines that sold hot meals, to the outrageously fast Shinkansen bullet train, to the toilet seat that sprayed water up your bum after you took a crap. That was the Tokyo I remembered. A futuristic city, on top of the world. A few weeks ago, some fifteen years later, I finally visited Tokyo for a second time. Some friends and I rented a couple of Airbnb apartments in Tokyo’s Shinjuku area, and we headed to Japan’s capital to call in the New Year. I wondered, what’s Tokyo going to have for me this time? A bullet train that goes so fast it’s practically flying? 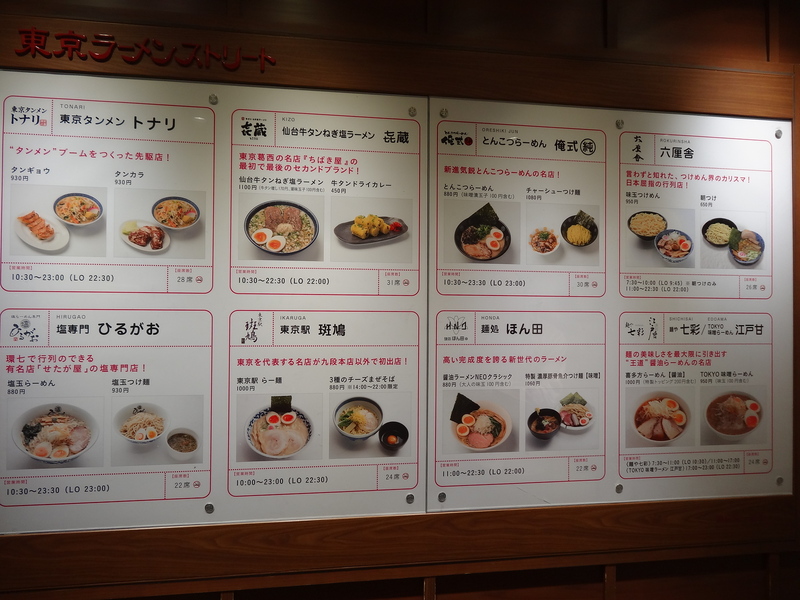 Vending machines that serve 3-course meals? A toilet that sprays and wipes your bum at the same time? Surely the city of breakthrough technology would have some special to show me, right? But sadly, there was none of that. In fact, Tokyo seems to have changed very little from the last time I was there. The vending machines were exactly the same, save for a few new drinks or ice cream flavours. The toilets looked a little trendier, but seemed to do all the same stuff. And as for the trains, they seem to be, shock horror, much the same as most other trains around Asia. In the few days I spent there, Tokyo actually felt a little run down. A city, once on top of the world, seems to have faded a little from its time in the spotlight. The malls, probably once the best in the world, now lack the glitz and modernity of those in Shanghai and Bangkok. The subway, probably once a world benchmark, now feels disjointed and confusing, as if new lines have just been mindlessly tacked on over the years. And the bright lights? I’d say the rest of Asia’s lights are shining just as bright these days. Rather than surging ahead, it feels like the rest of the world has actually caught up. Few would disagree that the public transport and subway in places like Hong Kong or Shanghai are far superior to what Tokyo has to offer today. The same would go for airports, restaurants and accommodations. And with much of Asia growing in bounds with every blink of an eye, I imagine the gap is only going to keep on closing. Of course, I did visit Tokyo at undoubtedly the worst possible time of year – smack bang in the middle of a freezing winter (and flu season), and over the New Year where a lot of things were busy and a lot of things were closed. Perhaps, a visit in the middle of spring would’ve painted my experience a little differently. But despite all that, the city I visited was still Tokyo, all the same. Of course, this doesn’t mean I dislike Tokyo. I love Tokyo. They still have the best vending machines and convenience stores I’ve ever seen, meaning if you’re after a hot corn soup or steaming hot chocolate, it’s never more than a few steps away. The culture demands almost absurd levels of respect and politeness, and it is undoubtedly the cleanest capital city I’ve ever been to. The food is sublime and the city will ensure your stomach is never empty for more than a couple of hours. On top of all this, there’s also Japan’s notorious splashes of weird and crazy, leaving you with one of the most unique cities in the world. My advice would be to simply weather your expectations before you go. Tokyo is no longer the tech-crazy city of the future that it used to be. That title probably belongs somewhere in China now, and Tokyo feels a little more like a grown-up Bangkok – busy, modern, with a whole bunch of quirkiness thrown in. So, what did I do there anyway? Even though I found it a little underwhelming, I still had a lot of fun in Tokyo. 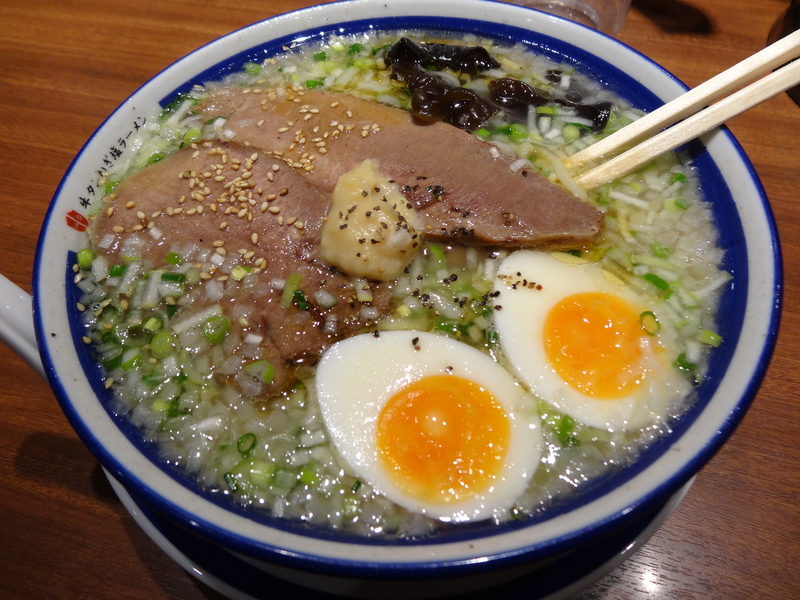 As a noodle lover, I found myself in one of the best cities ever to indulge. 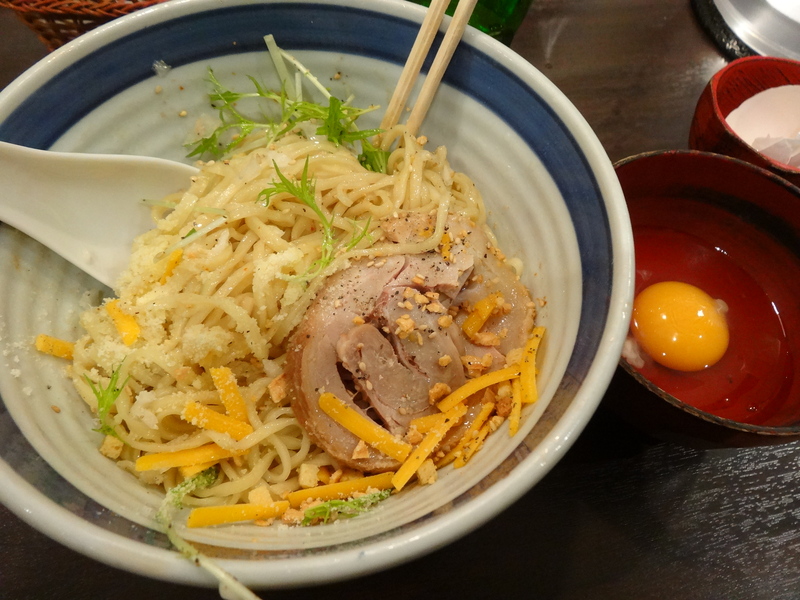 In Shimokitazawa, I had the biggest bowl of ramen I’ve ever seen in my life (and I think for the first time ever I couldn’t finish it). 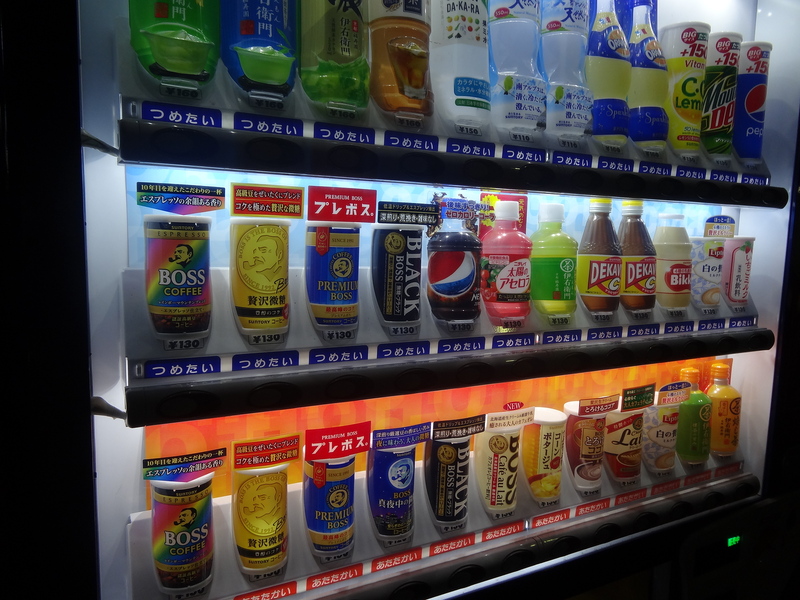 I spent at least $100 in vending machines, putting down hot corn soup, hot milk tea, hot chocolate and hot green tea around three or four times a day. I went there with the mission of trying all eight, but only managed three before I had to go walk it off and try not to vomit. 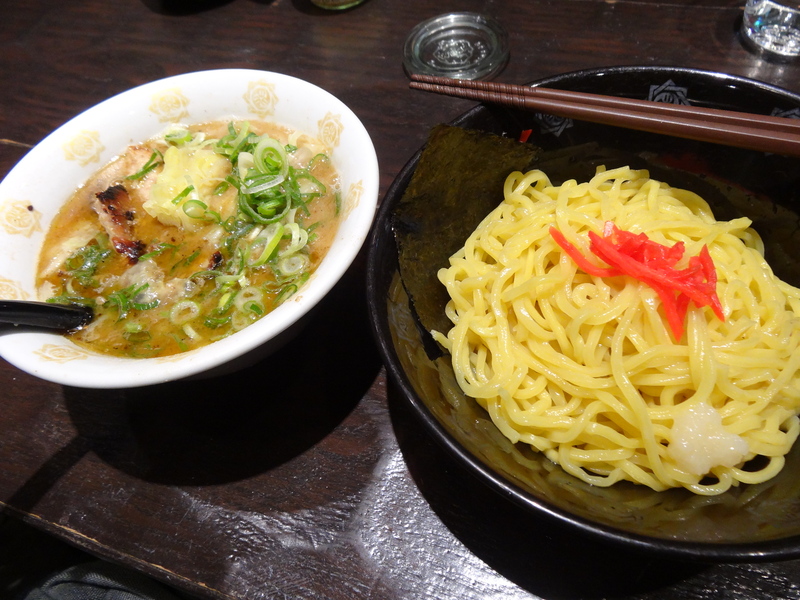 Nonetheless, the ramen was fantastic. 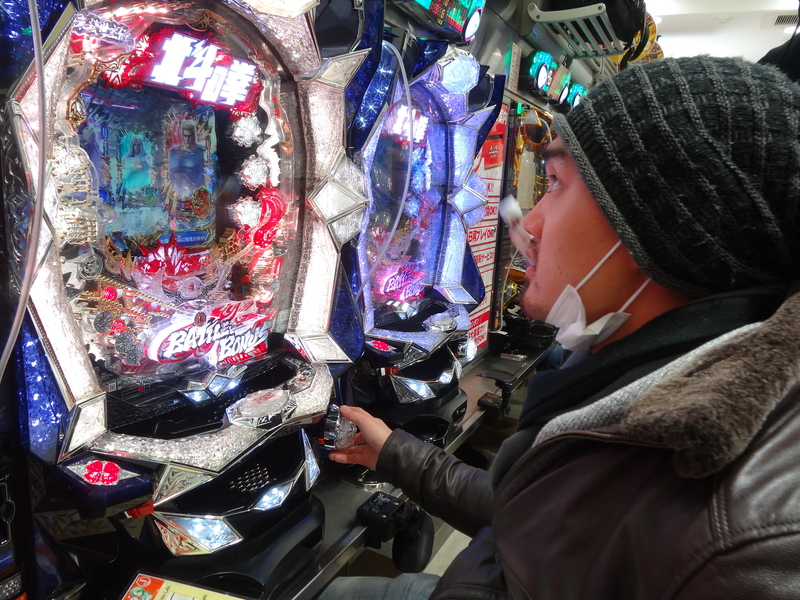 I tried to figure out how to play Pachinko (and failed). Pachinko – Kind of like an arcade game, slot machine and pinball all wrapped into one. I went to Disney SEA, which is beautiful, but unfortunately it was so busy with the holiday crowd that every ride had wait times of over 3 hours. I’m definitely not that patient, so for the first time in my life I left a theme park without going on a single ride. 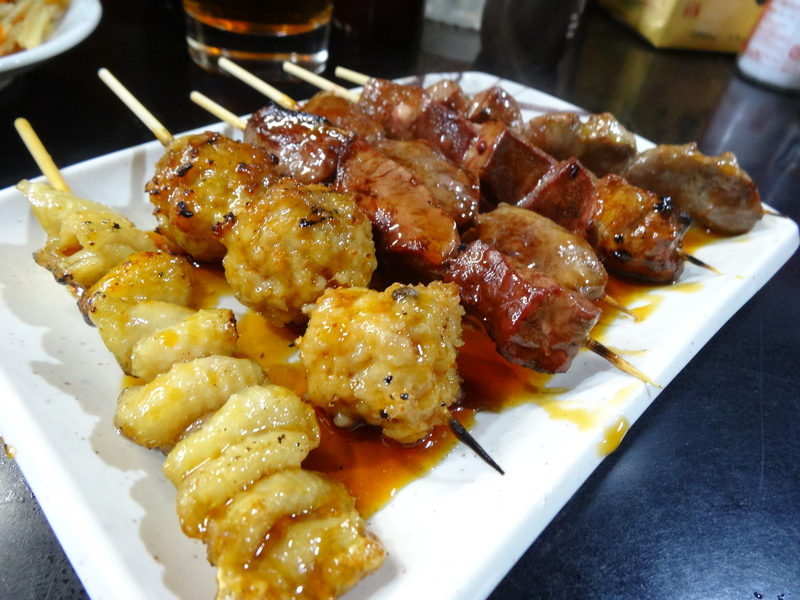 I visited Piss Alley, a famous local street food place filled with tiny little restaurants that serve some of Tokyo’s favourite yakitori and beer. Unfortunately it was the holidays so 90% of the places were closed, but luckily a couple were still open and had seats. 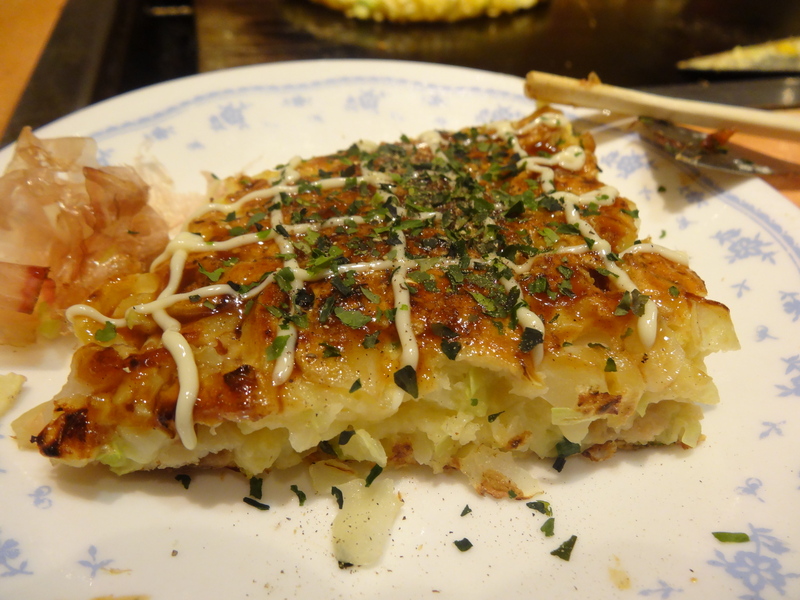 I cooked my first okonomiyaki, a Japanese style savoury pancake. 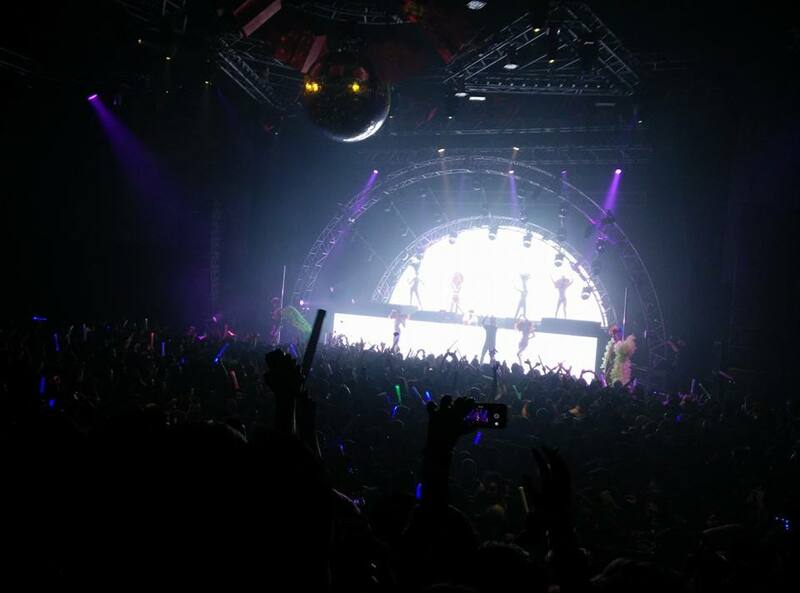 I called in the New Year at Ageha, definitely the biggest and most overcrowded nightclub I’ve ever been to. An eventful night, to say the least. But most importantly, I spent a week in Tokyo with my closest friends who I don’t get to see that often. This trip wasn’t so much about “travel”, but more about chilling out and having a good time with some important people in my life. On that front, the trip was a raging success. If you’re heading to Tokyo, I’d recommend you give yourself at least a couple of weeks. Unlike some of the second tier cities in Japan, Tokyo is a large city, littered with tourist zones and split up into many little unique neighbourhoods and communities that I just didn’t have time to explore. It feels a bit like New York in that sense – a city suited more to expats rather than travellers, requiring months rather than weeks to truly unravel and appreciate. I would definitely avoid going over the winter months (December, January), as the cold in Tokyo is quite sharp and unforgiving, and I’ve no doubt you’d have a more pleasant experience in the spring/summer. I’ve always said that the “best version” of a city is seen in the summer – people are happier, more relaxed and easy-going, coughs and colds are out of season, and the city is more likely to be out having fun rather than sitting at home by the fire. You’d probably agree the same is true for your home city, and Tokyo is no different. Another reason is over the Christmas period much of Tokyo is either overly busy or closed down. For example, I wasn’t able to see the world-famous Tsujiki tuna auctions, as they’re closed to tourists from December 1 to January 17 due to overcrowding. 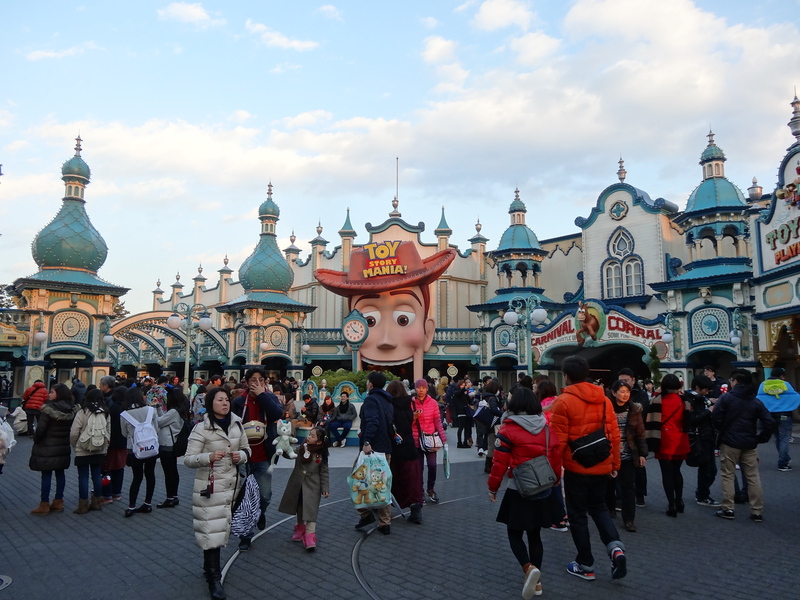 The minimum wait times at Disney SEA’s main attractions were over 3 hours. My visit to the iconic Shimokitazawa neighbourhood was a huge let down, because 80% of the shops were closed for the holidays. Peak season is a notoriously bad time to travel, and this felt especially true in Tokyo. In the end, I left with the impression that Tokyo is just a little bit overrated. There are a good number of cities in Asia I would choose as home before Tokyo, but it wouldn’t be my last choice either. I do think a few local friends and a longer stay in the summer might change my mind, but we’ll never know. And of course, you shouldn’t let my opinion stop you from going. It might end up being your favourite city in the world, and the only way you’ll know is if you go there yourself! For affordable accommodation, I highly recommend using Airbnb. There are many nice apartments available and they will be much cheaper than hotels. 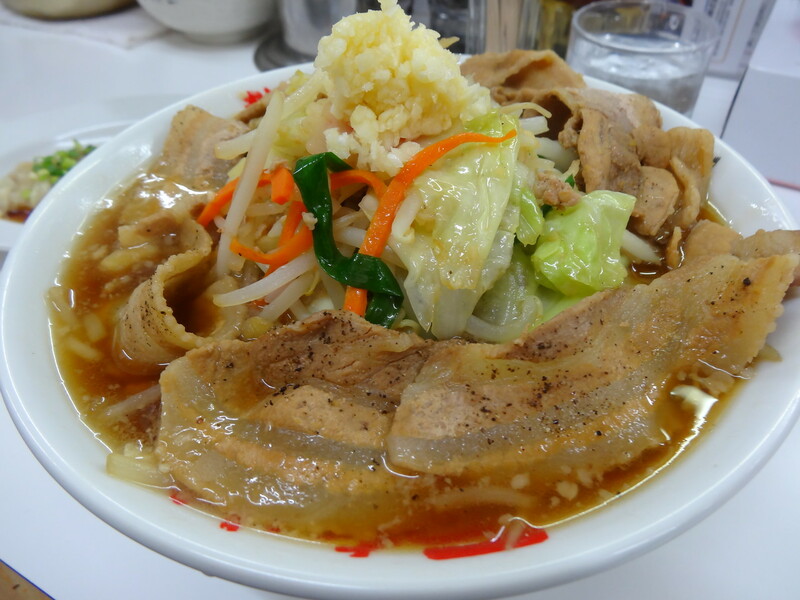 I found very nice places in both Tokyo and Okinawa during my stay. You can get $25 of free Airbnb credit using this link. Try and learn a little Japanese before you go! You will probably be asking for directions a lot and English is not widely spoken. Even just “Excuse me” and “Thank you” will go a long way. 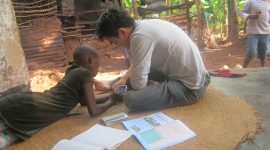 Check out my guide for learning a new language in just 7 days. I highly recommend purchasing travel insurance for Japan. Travel in Japan is not dangerous but it is a very expensive country and in the event of an accident you do not want to be left with the bill. I recommend using World Nomads. They offer very affordable coverage in Japan with generous limits and it’s super simple – you can literally be covered within two minutes. I use them often.Have fun! Still a fantastic city with great food – it’s just a shame I guess that it has a reputation for being some super tech-crazy space-age like place and it really doesn’t live up to that. Go without expectation and you’ll have a fine time. Thanks for the frank review Bren. We’ll be going in April (cherry blossoms) and hope to report back something more positive! I think the weather will be great for you at that time. Lot’s of good photo opportunities too. Enjoy Tokyo – still a great city! I’ve always wanted to go to Tokyo and Japan in general. It’s one of my dream destinations and we’re hoping to finally make it there this year! Will definitely avoid it during the winter, though! Do it! Now is a fantastic time to go, because the yen is extremely weak. Your dollars will go very far. Spring would be a good time, and don’t just stick to Tokyo – take the bullet train out to some smaller cities. Good luck! I lived in Tokyo for a year and totally get what you are saying. People don’t realise that Tokyo is a city full of old people. Sure there are those bright young kids in their wacky fashion you see in all the photos but that is in one small street not the whole city. The only reason to go to Tokyo is if you are travelling for something specific — like you are a huge anime fan and there are fan boy/girl things that can only be seen there. Hi Kathryn, that makes a lot of sense. I only ever hear good things about Osaka – must go there one day. Thanks a lot for sharing! I’ve been to Tokyo twice and Osaka/Kyoto once back in 2005 & 2012. Tokyo or Japan for that matter remains my favorite destination in Asia and I’m Filipino that lives and works in Chicago. Japanese culture is just mind-blowing and all you said about the inventiveness and quirks is what makes Tokyo/Japan obviously unique. One thing I do agree on what you said that the rest of Asia is catching up. The same story is happening about America. That same story was told about Britain and France. China is becoming the top dog in a new world order and they will experience the same fate as history just repeats itself. Tokyo and Japan is not overrated but the rest of the world got a little richer and have the means to copycat and emulate the advances other cultures have created. Wonderful. Reminds me of the time i was in Tokyo in 2011. Had a lot of fun especially when it came to shopping. The 100 yen shops were my best and of course the electronic shops in Akihabara. The rickshaw tour was also impressive. I just fell in love with Tokyo. Akihabara still has good vibes. Spent an evening there and had a good time. Actually they think of you as a gaijin…foreigner..all the time.. Loved tokyo. food great, people great. loved it. Can’t wait to go back for more food. Dig it.